I’ve always been saying that paying attention to the detail is what makes your home cozy and welcoming. It’s a bit of a cliché but it is true. For instance, I’ve noticed that nobody is using the space around the stairs. 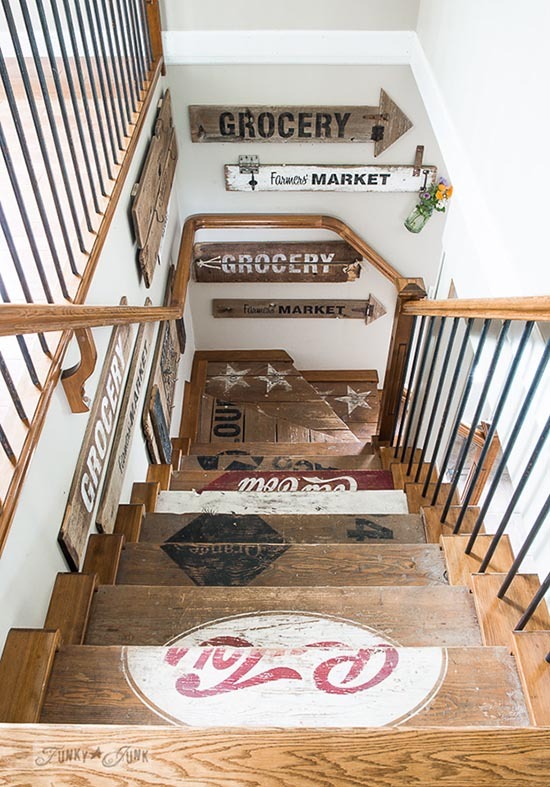 There are tons of unusual and not expensive ideas you would be able to use for a stairway decorating. Brag about your artistic side. 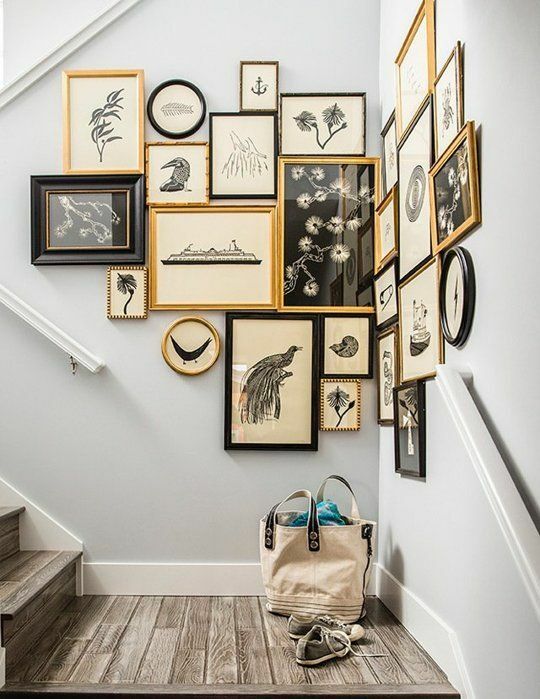 Adding as many pictures and drawings, as you like, brings a warm vibe to your house. Just make sure they are having the same color frame. 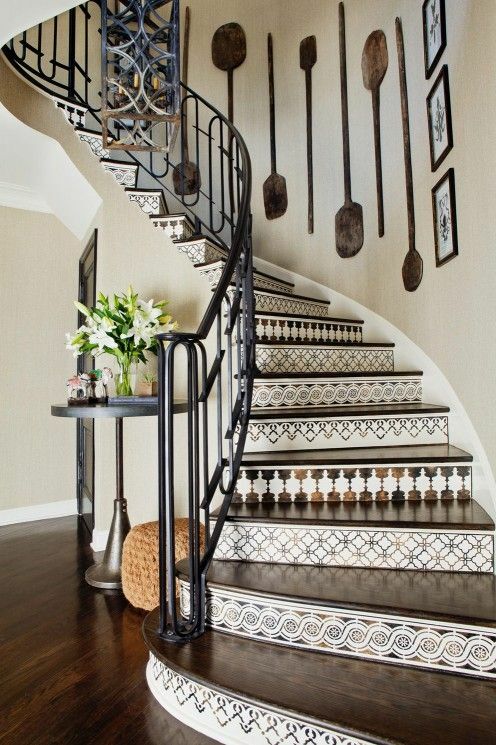 You can also use two different colors, such as black and gold, to make the staircase looks more sophisticated. There are lots of people who are not fans of chevron. But let’s face it – it looks awesome. 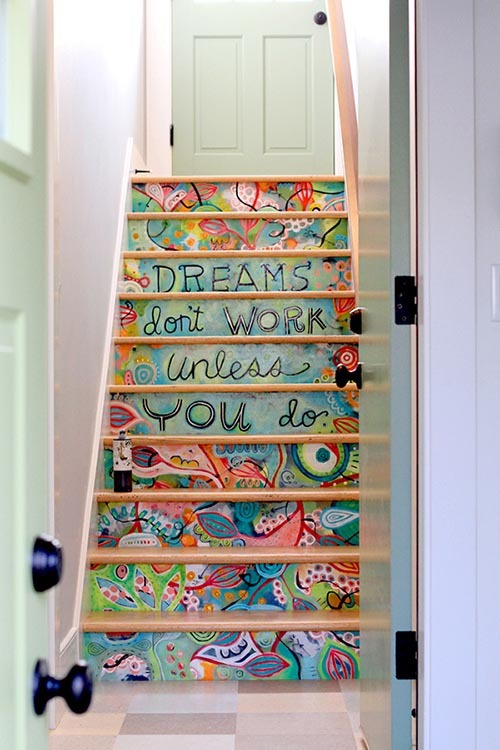 Plus, you instantly transform your stairway without breaking the bank! 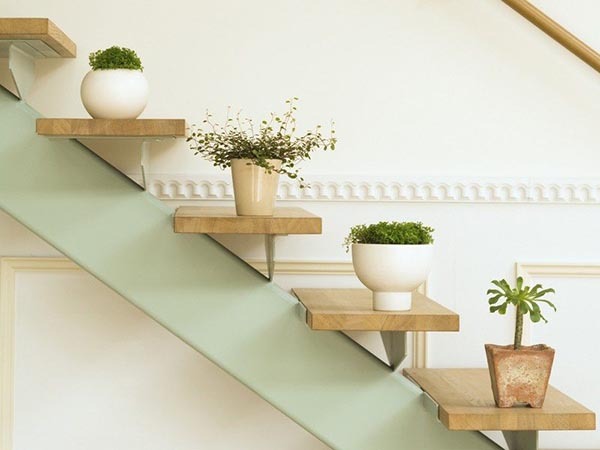 Adding some greenery to refresh your staircase is always a good idea! Just make sure there is enough sunlight and the plants won’t die for a day. 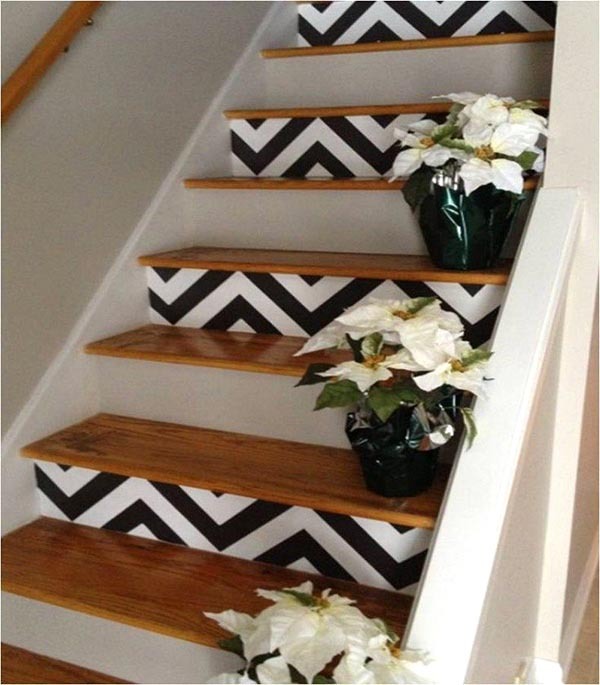 😎 Consider design of the flower pots to match the staircase design. 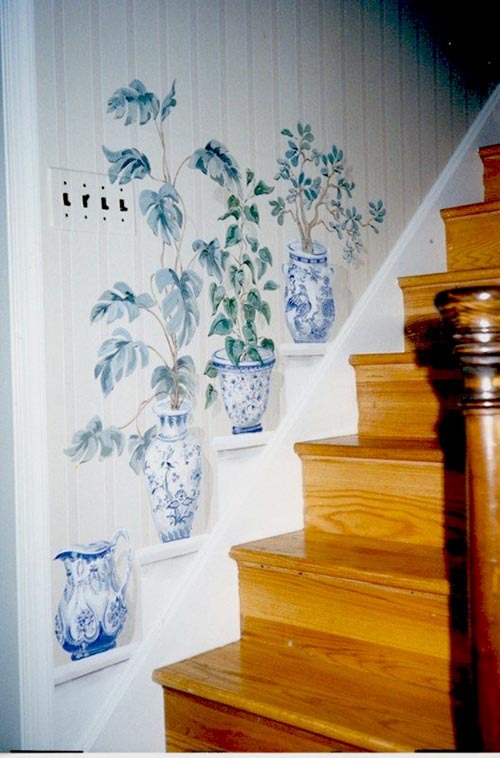 If you want to give your staircase a timeless look, consider using India blue pottery. They are combining different centuries and cultures which adds a final exotic touch to the overall design. The staircase is usually the first thing you see when you enter the house. That’s why is important to make it nice, colorful, and funny. Why don’t you add an inspirational quote to make it even nicer? 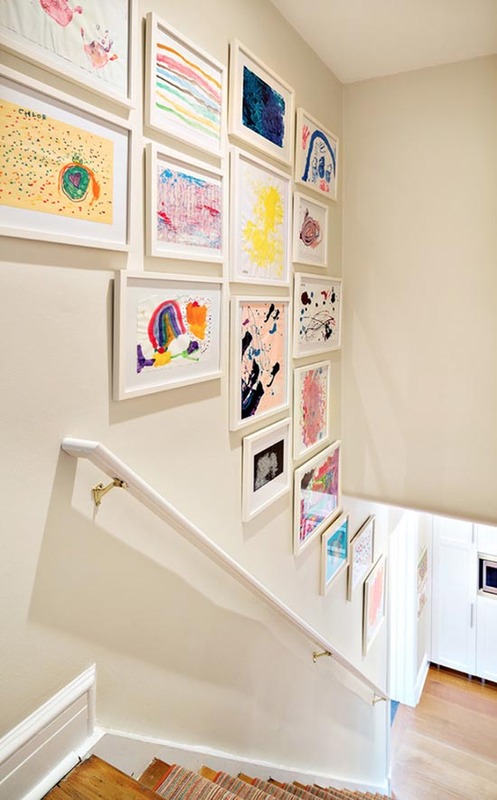 Here is another cool, cheap, and easy way to transform the stairs at home – put your kid’s drawings in identical frames and hung them on the wall. 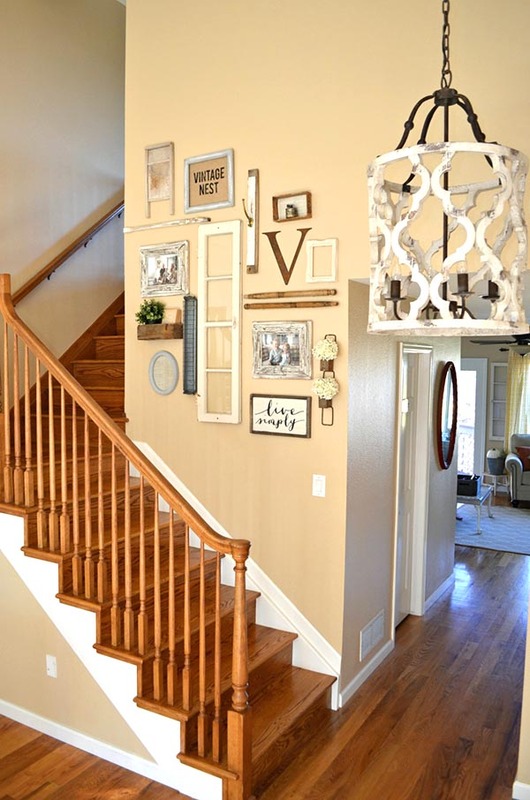 Buy similar picture frames to achieve clean design. Moreover, in the future, they will recall you from the childhood of your kid. 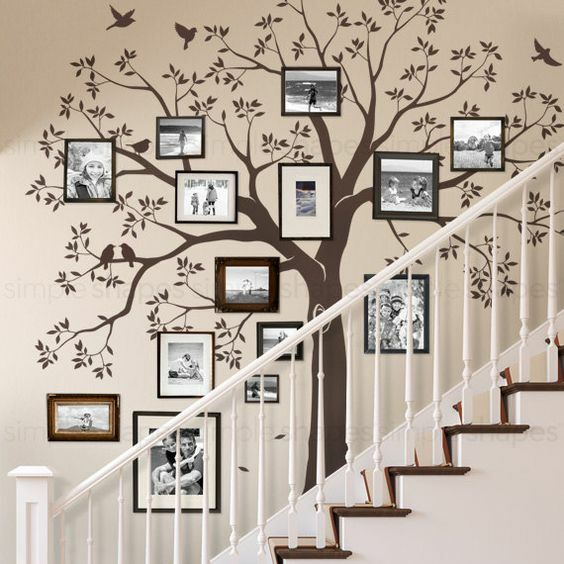 Creating a family tree with some of your dearest family photos takes the stairs decoration to the next level. You can find a tree wall sticker for less than $5. Don’t worry – it’s easy to put on the wall and also to remove it later if you don’t want it. It won’t ruin the paint. 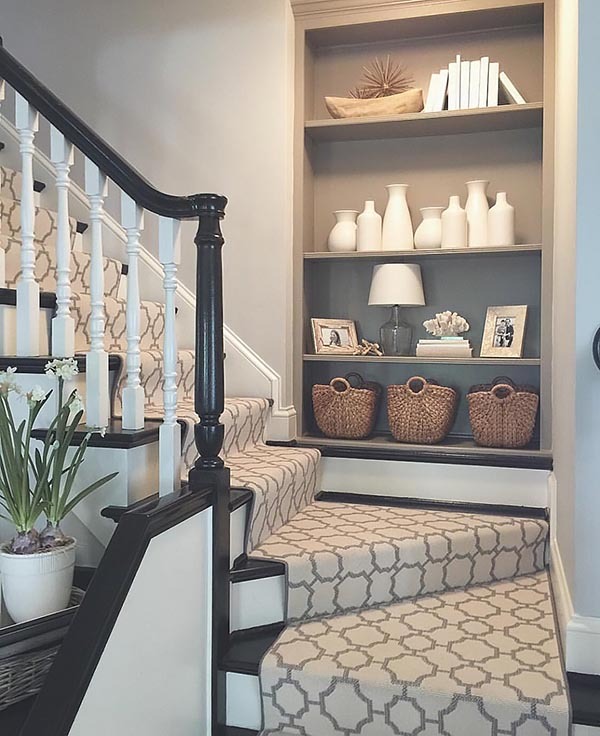 You can easily add some additional warmth to your staircase by choosing a stylish runner in neutral colors (such as Titanium OC-49 by Benjamin Moore). Runners create the “home” feel when you are stepping on them. 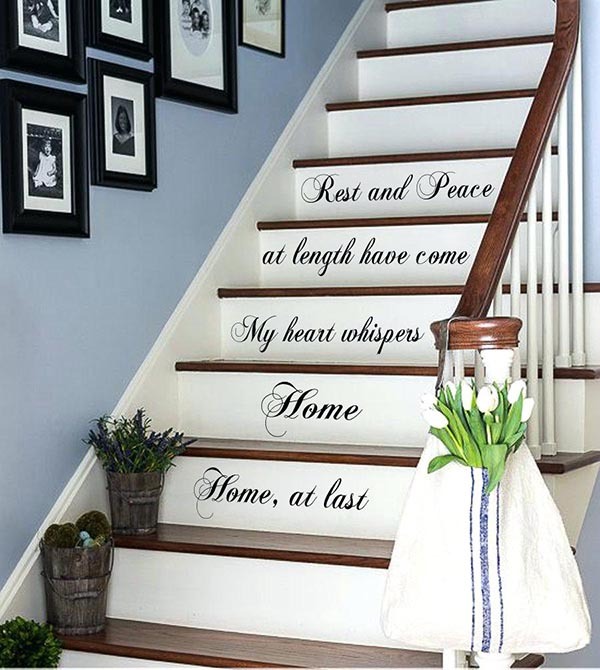 For those of you who are looking for a cheap and personalized way to refresh the stairs at home, I would say choose your favorite quote. 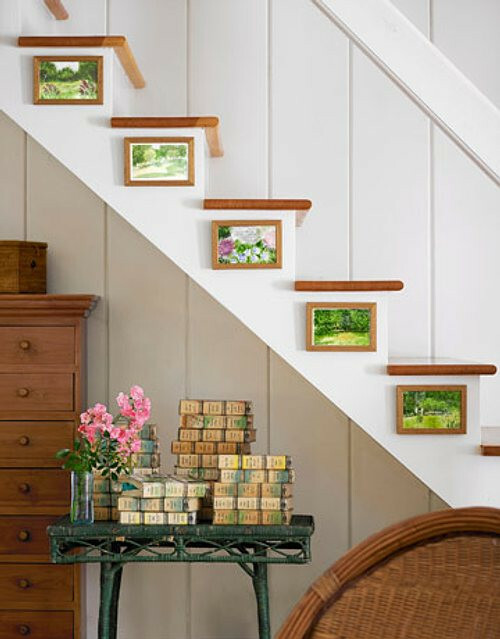 Take a look at how to decorate your stairs with empty flea market old picture frames. You can find them in different shapes, sizes, and colors. It’s cheap and it will show your personal point of view. 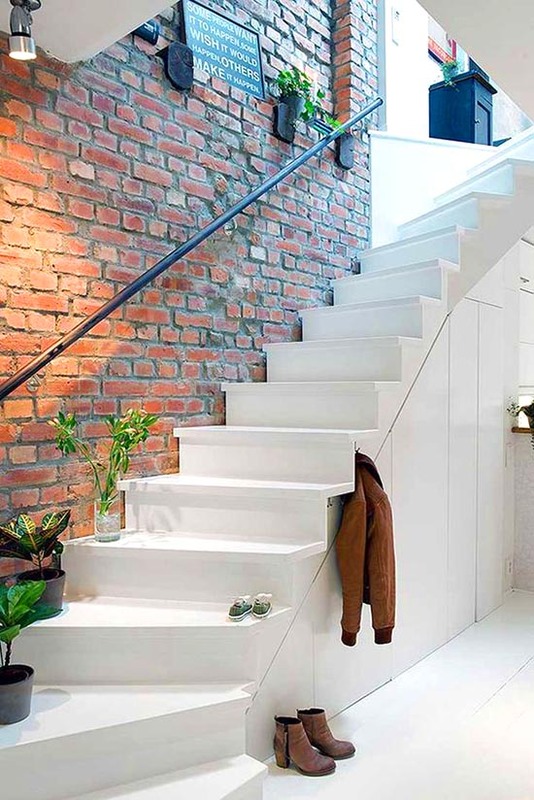 Constructing a DIY brick wall will make your stairway looks very unpretentious and stylish. The best thing is that brick goes with almost every material and color. Tip: You can paint the bricks in white or even in some bold color to make the look even more appealing. An inspiration for a Mediterranean wooden curved stairway idea. It won’t be the cheapest way to transform this spot in the house but, for sure, it will give it a stylish timeless look. Here is a trick that is taken directly from the modern interior magazines. 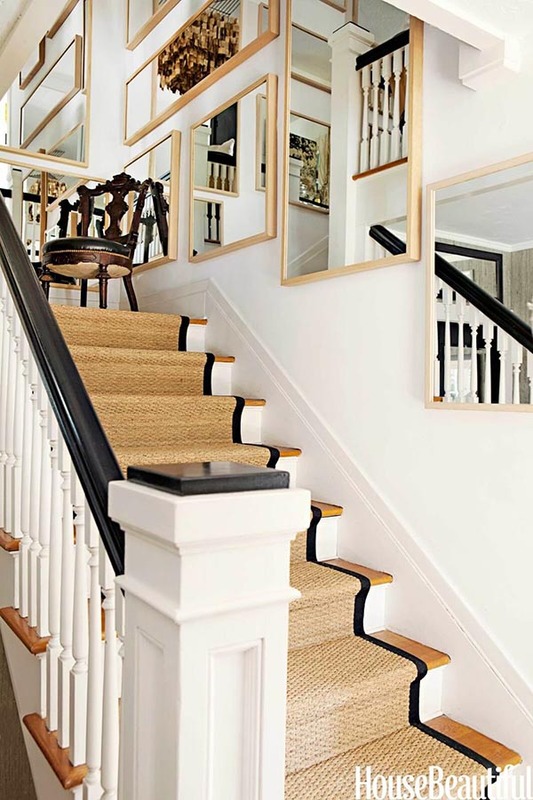 Just look at the frames, the runner, the big mirrors, and the white wall are also in line with the contemporary style. 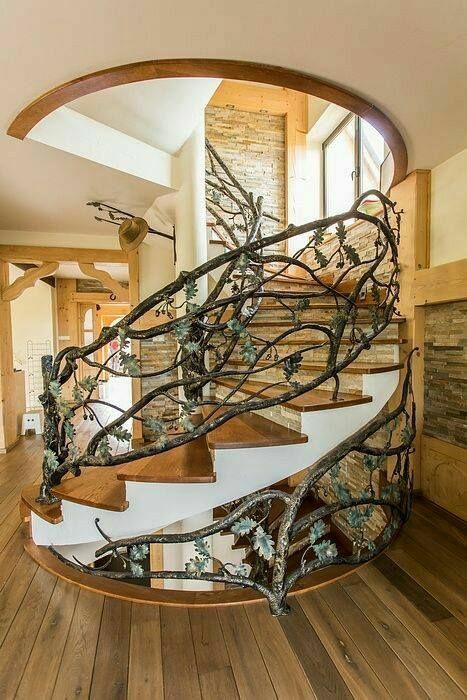 I simply love this staircase design! I’ve decided to show you this picture as it is a very unusual way to display the wall art. However, I find it nice because you would be able to see it from many different angles. For each stair there is different photo. In the last decade, we’ve seen vintage accents in every interior. 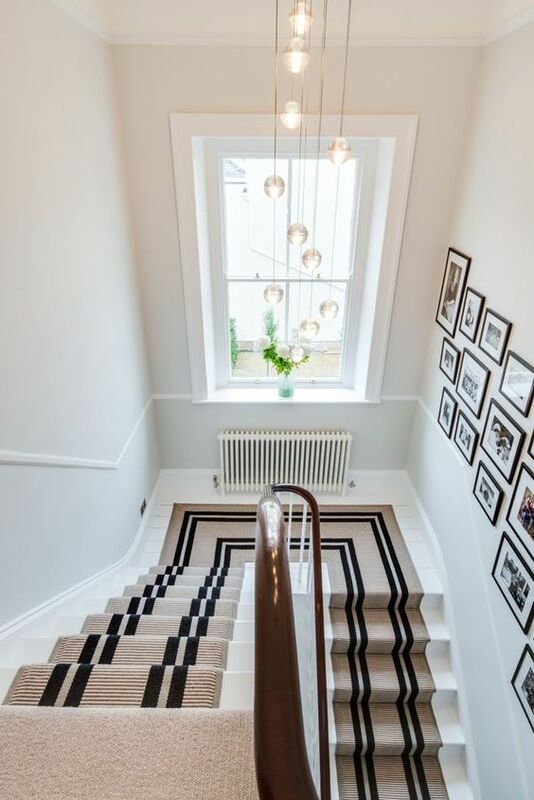 Contemporary and vintage are such an elegant and tasteful combination, it is a shame not to try it especially in the staircase. 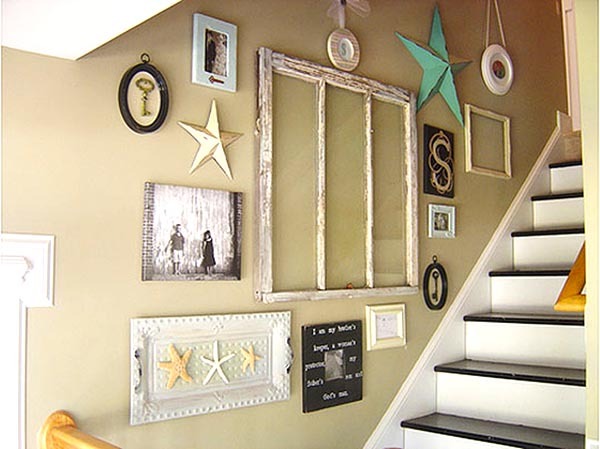 You can decorate with starfish, monograms, keys and a lot more objects. This project is a great opportunity for every experienced DIY-er to show off their creativity! It won’t cost much but the results are stunning. You can find the detailed tutorial with pictures here. Enjoy! 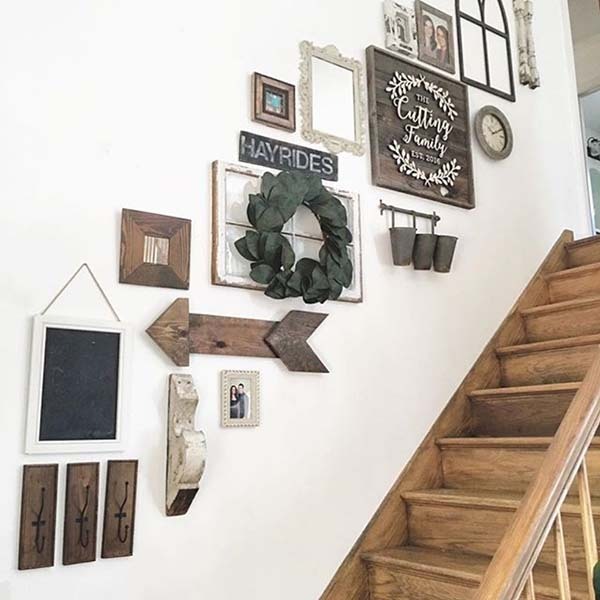 This amazing tree branch used as a handrail in the attic staircase is definitely one of my most favorite staircase decorating ideas. 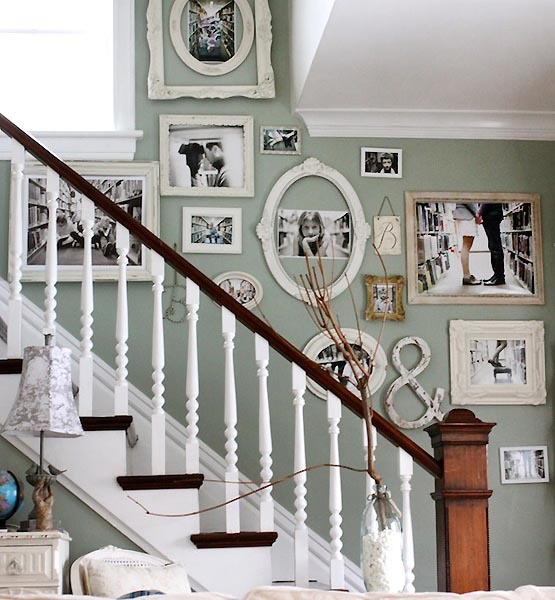 Here is a thought – why don’t you turn the staircase into a little gallery? It would make your entrance more warm and welcoming. Plus, the collection would remind you of some sweet memories and people. Christmas is such a special time of the year! 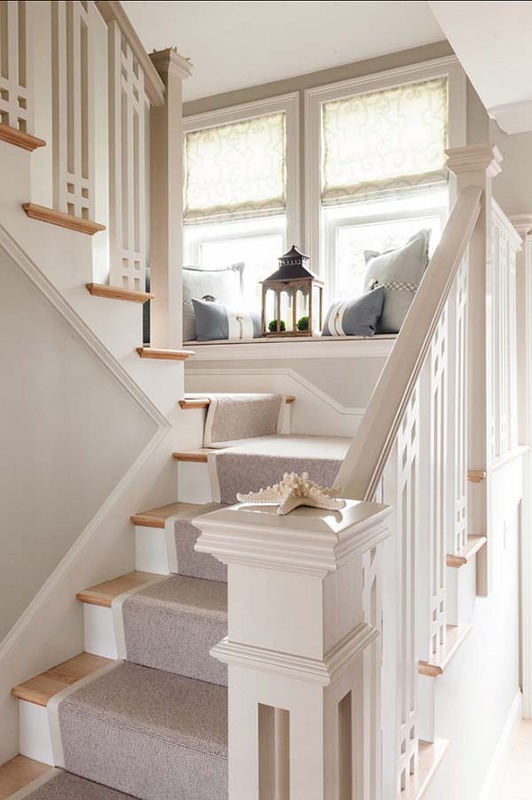 As the staircase is a centerpiece in the house, make sure you decorate it in the nicest possible way. 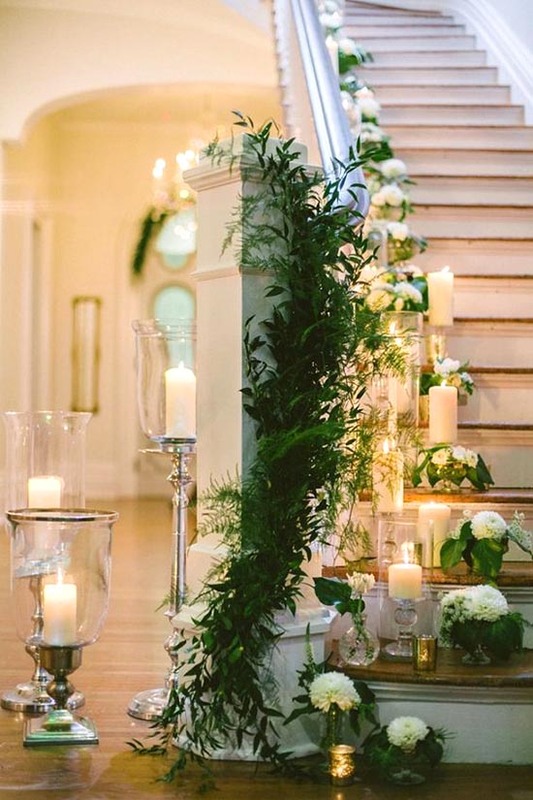 The combination of emerald and gold, plus a bit of a greenery, is a great option for a staircase wedding decoration at your house. Remember – simplicity means beauty! 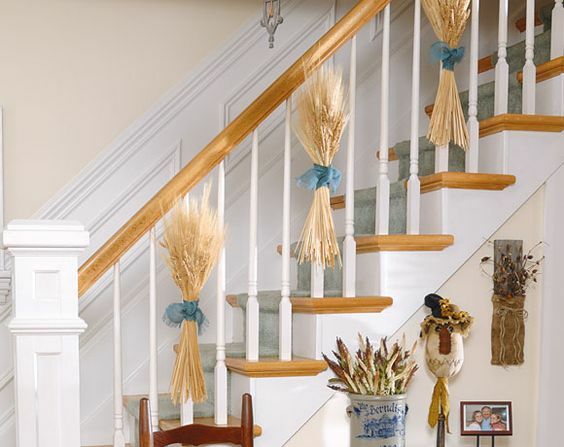 Another cute idea for a stairs decoration is to bind plenteous of wheat to your stairway banisters with strips of colorful material or sacking ribbon. 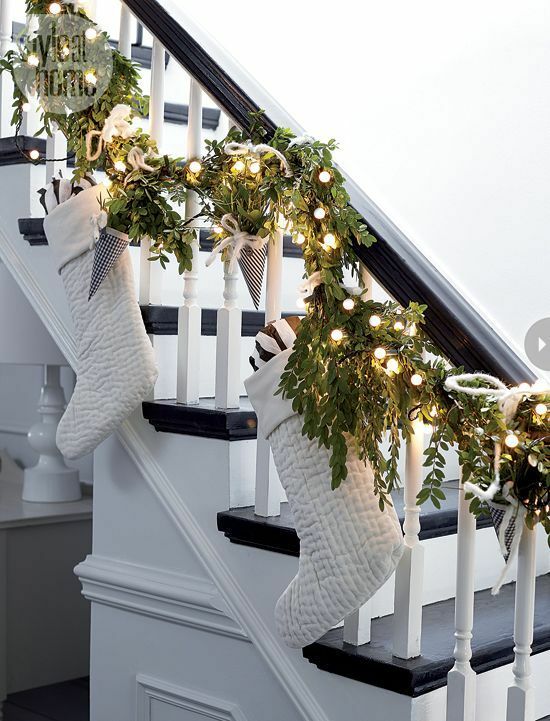 When I first saw this photo of a stairs decoration, It reminded me of a little French country house. Floral decoration is ageless and always brings a cozy vibe to a place. This modern geometric runner rug fuses together abstract lines and shapes, and classic patterns to give your staircase a contemporary edge. 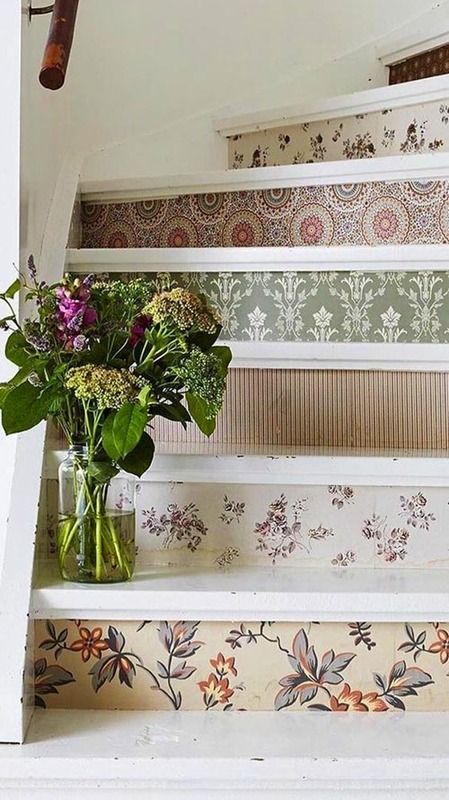 For those of you who don’t have enough free time to look after some plants, the decorative painting would be a smart choice to transform the stairway! How about creating a spot at home where you can stop along your path to take a deep breath and relax? 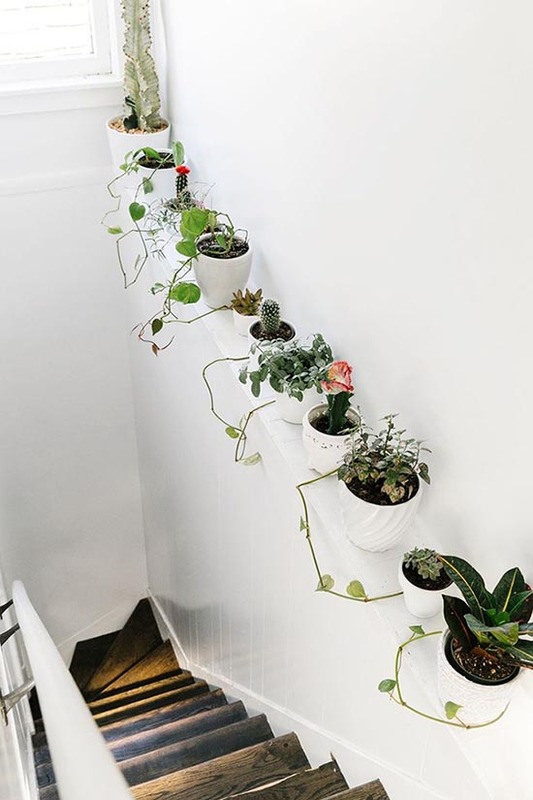 I love the idea of having a little narrow shelf where I can put some greenery. The crystal long drop lighting is always a good idea to brighten up the stairway! It adds some texture and make the entrance to look more stylish and luxurious.